Here's an example of one of the 15 new paintings that will be hanging at Belle Meade Plantation's Visitor Center Art Gallery during the month of May 2014. 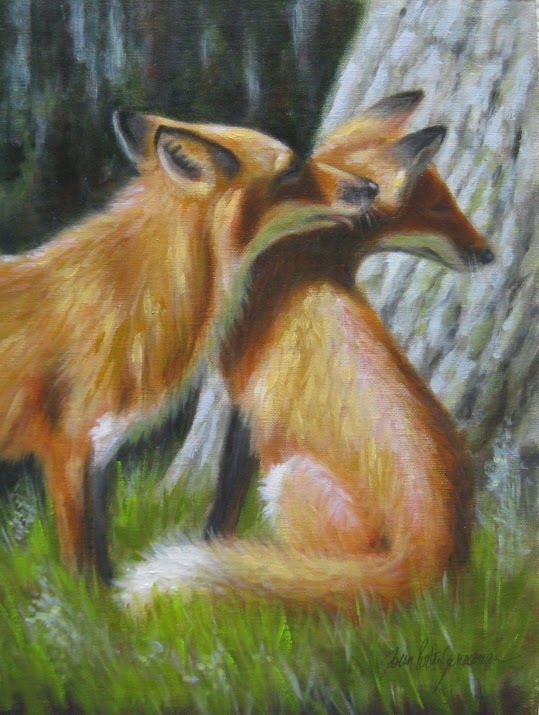 It's titled "Whispers" and is a 9 x 12 oil on linen canvas board. I would love to see some friendly faces visit at the opening of the month long show on Thursday, May 1st at the Plantation on Harding Road in Nashville. Artist Mary Veazie will also have her new work hanging at the gallery. Wine and hors d'oeuvres will be served thanks to West Meade Wine and Liquors and the Harding House Restaurant. The opening reception is from 5:30 pm to 7:30 pm.